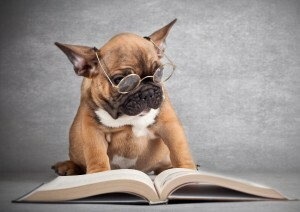 French Bulldogs are popping up more and more as characters for children’s books and it’s not hard to understand why! Frenchies are adorable, entertaining and unique. These funny little pups all have interesting stories and kids just love them. Here are seven of the top rated French Bulldog children’s books currently available on Amazon based on a number of 5-star customer reviews. When Little Mouse gets her tail caught in a rusty old trap late one night, no one can hear her calls for help… except for Bubba, a French Bulldog with big ears who never sleeps. Coming to the rescue with the help of an amazing assortment of smushy-faced friends, Bubba learns how to be brave when he’s afraid, how to be strong and gentle at the same time and who to ask for help when you need help the most. 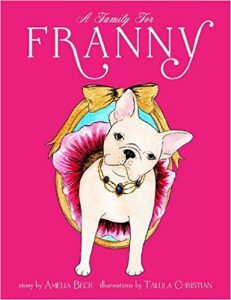 All of the characters in this fun and touching Frenchie fairy tale are based on Bubba’s real life Facebook and Instagram friends including SoCal Frenchies Cherie the Surf Dog, Ace the Bat Hound, and Bella the Pocket Frenchie! 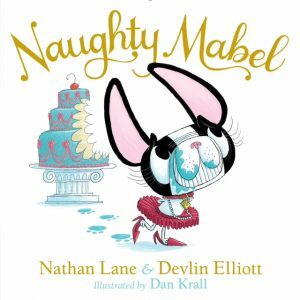 A very pampered, very naughty French Bulldog takes center stage in this hilarious picture book from movie and Broadway star Nathan Lane. Naughty Mabel is the most precocious French bulldog the Hamptons has ever seen. And when her parents throw a party without inviting her, Mabel is forced to take matters into her own perfectly pedicured paws the way only a true Frenchie diva can! 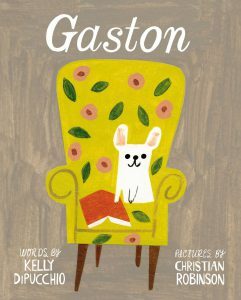 Gaston is the story of a little French Bulldog boy who grows up in a family of very proper French Poodle girls. Luckily for Gaston, a chance encounter with a bulldog family in the park gives him the chance to get in touch with his inner Frenchie. Will his Poodle family accept this new French Gaston? Readers will find out in this charming tale of true love and acceptance. They said his legs were too short and his head was too big and he just wasn’t cut out to be an agility dog. Boy, did Soren prove them wrong! 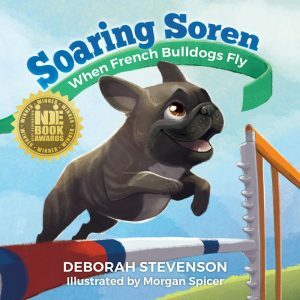 Soaring Soren is an inspiring true story about a French Bulldog’s quest for an agility championship. It is also an endearing story about the love and trust between Soren and the person who believed he could soar. 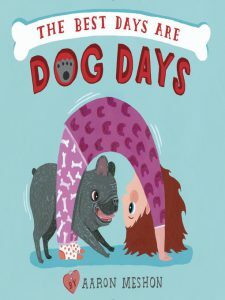 A little girl and her French bulldog are the perfect playmates in this charming picture book for young children. When his family sets out to explore the neighborhood, a Frenchie puppy is eager to join in the fun! He gets to do everything his human sister does—from eating breakfast to bath time to playing in the yard. Together they discover every day is a great day with someone you love. 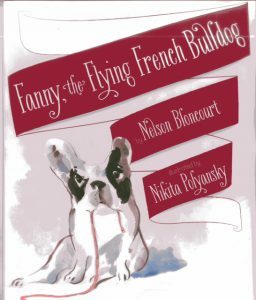 The wonderful story of a French bulldog with ears big enough to fly and her journey in search of her Frenchie mother. Fanny loves her human dad but she has a sinking feeling something is missing. When her longing leaves her ears flapping, she finds herself on an amazing airborne adventure that takes her all the way to her bio-mother and home again. Meet Franny–a glamorous French bulldog who lives the good life in Paris. More than anything, Franny loves spending time with her mom and dad. But when a new baby joins them, everything changes and Franny feels left out. With dazzling watercolor illustrations that celebrate all things chic and stylish, this picture book tells the story of Franny’s journey to find acceptance and the true meaning of family. WTFrenchie is a participant in the Amazon Services LLC Associates Program and incorporates affiliate links. This is so GREAT! 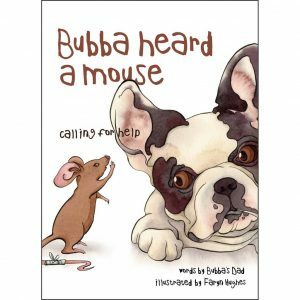 We’re big fans of Bubba Heard a Mouse (calling for help), but are now excited to read all of the others. Go Frenchies! Love the redesign of site…so much FRENCHIE FUN! How about Brooklyn and Bodhi the French Bulldog? Written from Bodhi’s perspective. What Grooming Needs Does A French Bulldog Have? Once you own a frenchie, you understand. We're proud to provide the most stylish products for Frenchie Lovers! Made in USA. WTFrenchie is a participant in the Amazon Services LLC Associates Program and incorporates affiliate links.